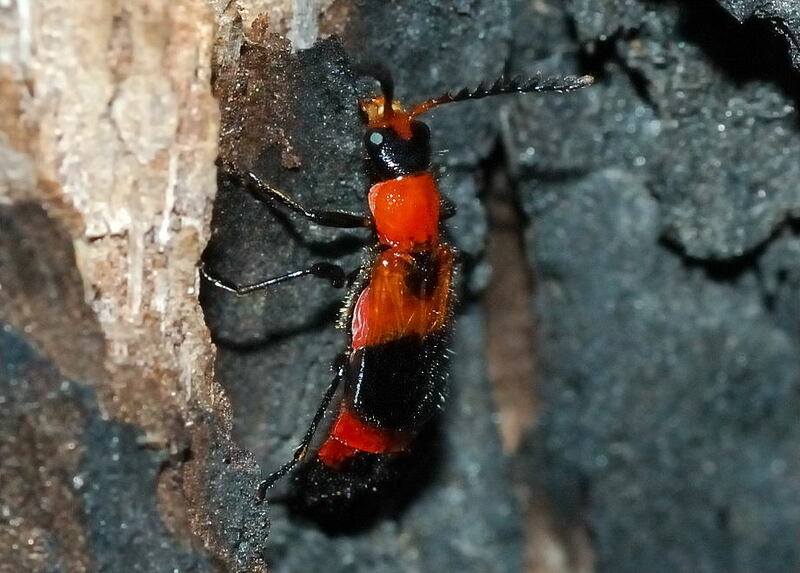 Red Soft-winged Flower Beetle - Balanophorus sp. 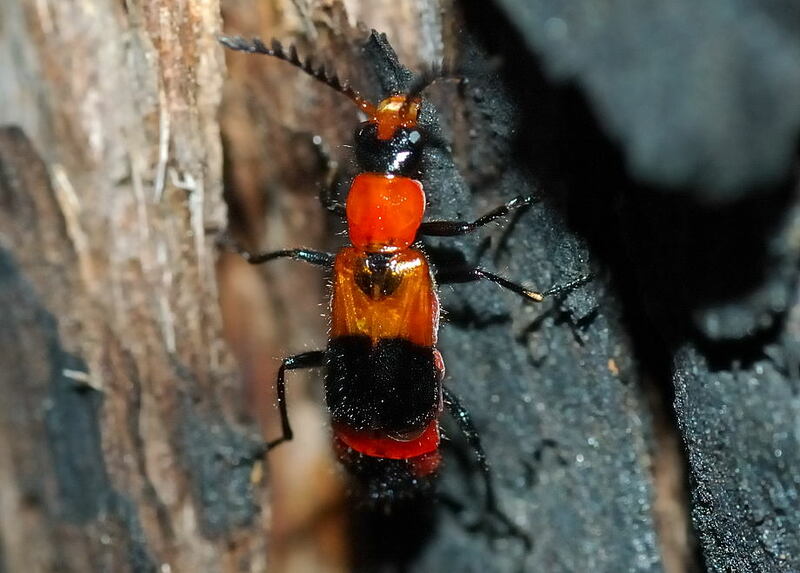 This page contains information and pictures about Red Soft-winged Flower Beetles that we found in the Brisbane area, Queensland, Australia. 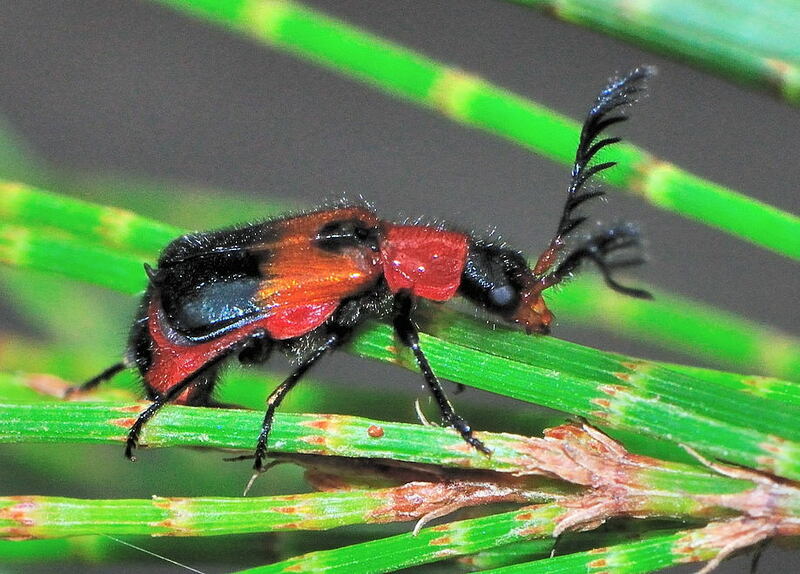 This beetle also known as Pollen Beetles. Pictures were taken on mid-summer Dec 2008 in Karawatha Forest. 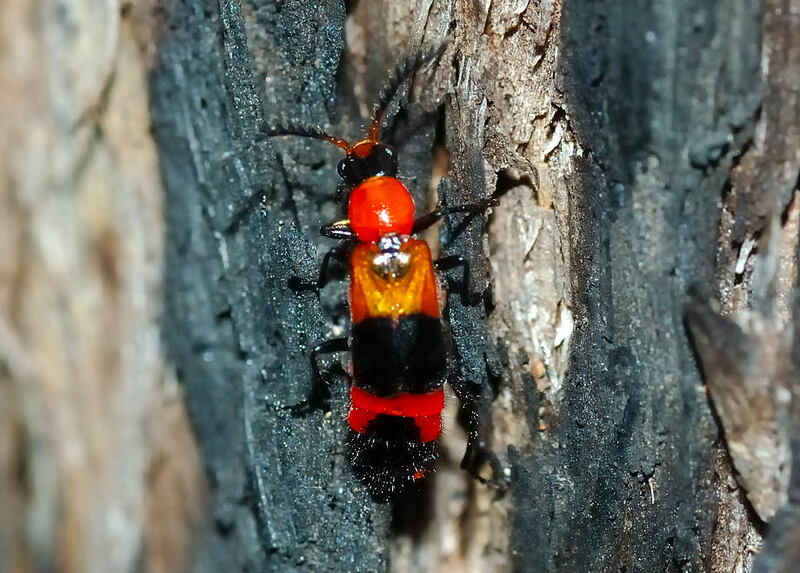 It was climbing up the tree on a partly burnt Paperbark Tree trunk. The beetle is orange-red in colour with black patterns. 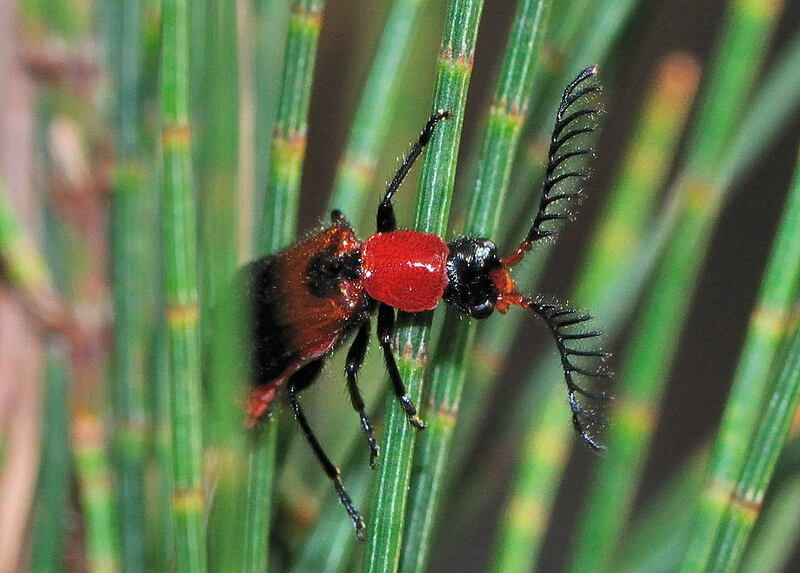 Its antenna is flabellate. 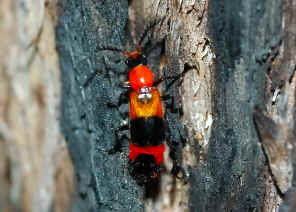 We saw another similar beetle in Yugarapul Park on OCT 2007. It dropped and disappeared after we took one picture. They looked similar. The body colour is a bit different from the one above, could be different species. We found this male in Karawatha Forest on Nov 2009. 1. 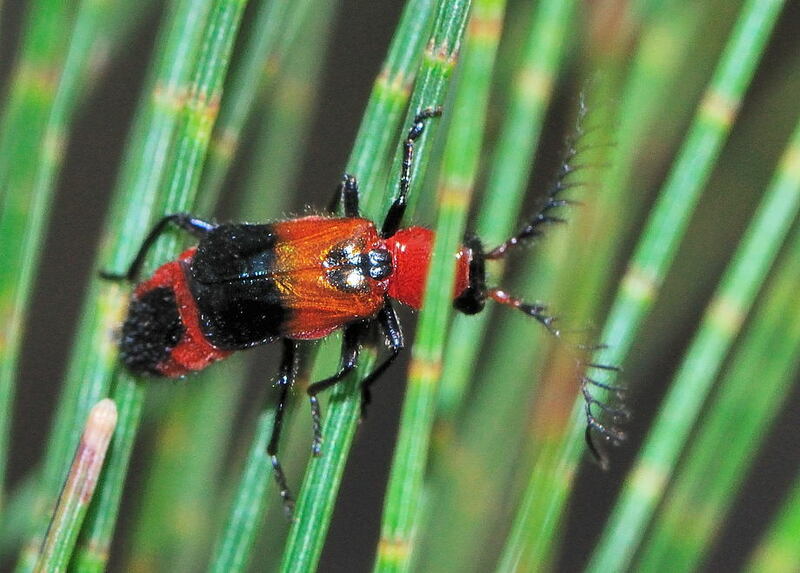 A guide to the Genera of Beetles of South Australia Part.6 - Matthews, E.G. 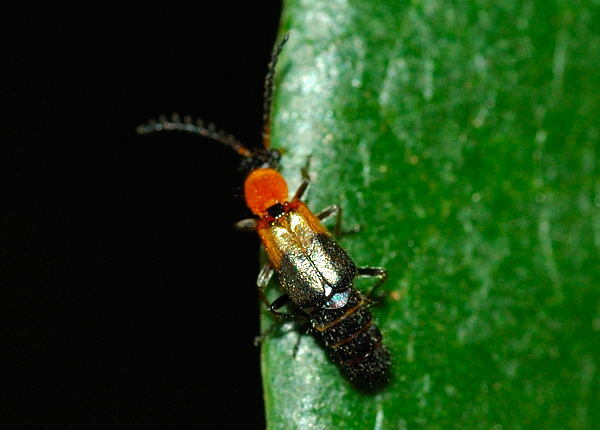 1992, Fig107. Last updated: November 22, 2009.